On November 27th in Stockton, Ca. 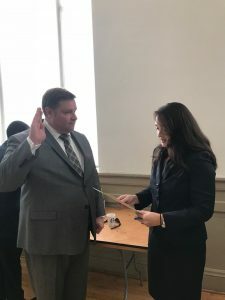 PORAC President Elect Brian Marvel took the oath of office as the newest member of the RIPA Advisory Board. We look forward to President Marvel continuing in the significant role President Durant has been in as the representative for rank-and-file law enforcement on the RIPA board. President Elect Marvel taking the oath of office with Nancy Beninati from the Department of Justice. 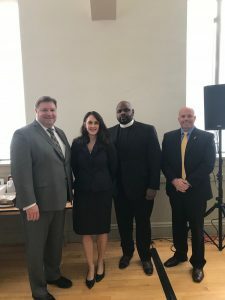 President Elect Marvel with Co-Chairs Pastor Ben McBride and Chief Ed Medrano, along with Nancy Beninati from DOJ.